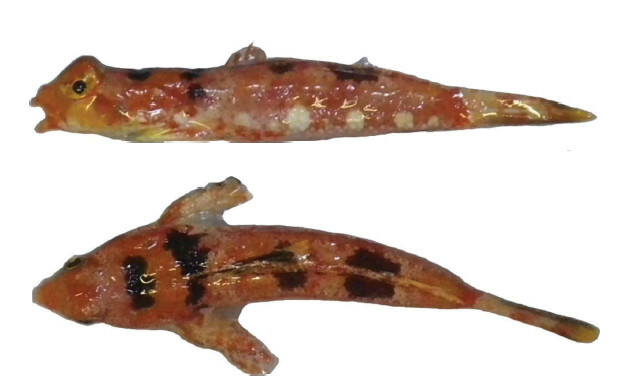 New species of dragonet get scientifically described on a fairly regular basis these days, with this year alone yielding three additions to the nearly 200 recognized taxa. 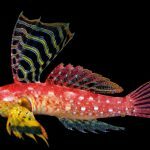 Most are fairly dull in appearance and unlikely to ever make their way into a reef tank, but the newest member of the group, the New Ireland Dragonet (Synchiropus novaehiberniensis), is a bright, crimson fish with obvious aesthetic appeal for the many aquarists who enjoy these comical creatures. This new find, reported in the latest edition of the Journal of Natural History, was discovered from the obscure island of New Ireland in the Bismarck Archipelago off Eastern New Guinea, dredged from nutrient-rich outer slopes at depths of 74-92 meters. 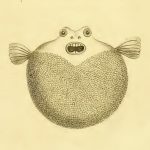 Unfortunately, the only images we have of this fish were taken post-mortem and leave much to be desired, but we can at least get a rough idea of what it looks like. The body is a blotchy mix of red and pink, adorned throughout with a constellation of fine white maculations. Males develop a series of black saddles across the back and a slightly larger dorsal fin, which, relative to others in its genus, is rather small in height and with few markings. Uploaded by Lemon TYK on 2013-09-08. NEW! 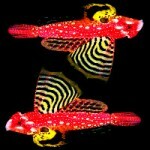 Ruby Red Dragonet- This is the most exciting wild fish of 2013! Only a handful have been shipped in from the Philippines. 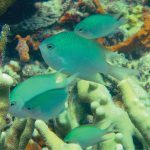 This fish is yet undescribed and it is unclear if this a separate species or a geographical variant. Regardless the husbandry requirements should be similar to that of the Scooter Blenny. It’s closest relative may be the seldom seen Synchiropus tudorjonesi, sometimes referred to as the Redback Dragonet, which was itself only described in 2012 from mesophotic reefs at the Raja Ampat Islands of Western New Guinea. The two share many similarities in their appearance, morphology and ecology. 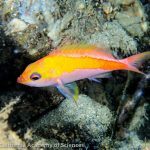 Another close relative is likely to be the Ruby Red Dragonet, an undescribed species said to be collected from deep habitats in the Philippines and, arguably, the most beautiful of the callionymids. Another undescribed species from French Polynesia may also belong to this group, as it too shares a love of mesophotic habitats and has a mostly red body with white spotting. Of this last species, only a single female specimen has been recorded, illustrated in the video below. Uploaded by koji wada on 2013-02-20.